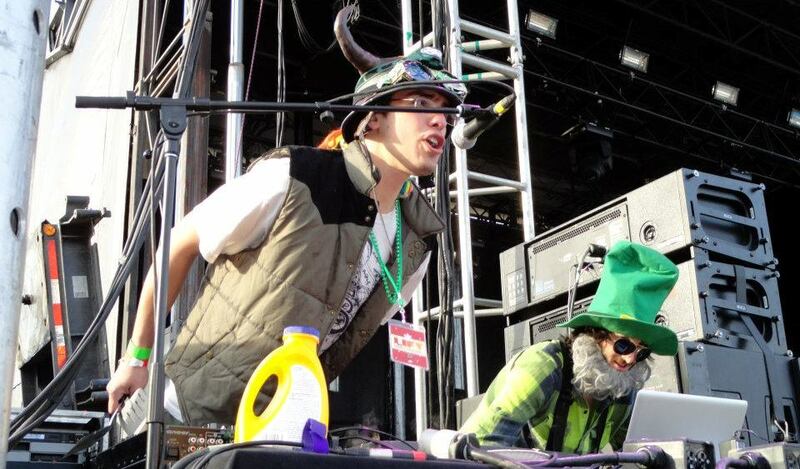 It’s not exactly common to get a music festival over St. Patty’s Day weekend. Combine that with the rarity of having one in New Hampshire and with it being at Whaleback Mountain, a tiny little ski resort right off the highway, and you had something pretty damn unique at LIFT Fest. Sure, being a first year festival there are bound to some kinks to work out. But it was tough to find a person at LIFT who wasn’t getting down and having a good time. My weekend started off like many going to the festival, waking up early and trekking a couple hours to middle of nowhere New Hampshire (Enfield.) My buddy Dougie hooked me up with a ride in his Cadillac- we were driving in style, blasting Orchard Lounge’s 12/28/09 set and feeling fine. We show up at the hotel and I immediately cracked a PBR, fought the morning beer valiantly, and checked in to get ready. Friends started arriving and we made our plans on what shows to see at the festival. Fortunately, this plan barely mattered because there was one stage set up with some absolutely incredible sound blasting from it. Not to mention the fact that there was a top notch light show, fully equipped with lasers zapping around the mountain. For those who frequent festivals, this was the main difference between LIFT Fest and others. There was no camping and the hotel was several miles down the road. Therefore, once you got to the site you were pretty much there for the long haul. This was great because it allowed you to see as much music as humanly possible, but also a bit of a hassle because it would have been nice to have a few seconds to relax and drink a beer without having to keep a lookout in the parking lot for the MANY undercover and uniformed police officers patrolling the area. The venue was right off of the highway, and the parking area was essentially right on the road on the way in. As soon as you got out of your car you could hear the music, making it for a pleasant walk into the venue. On the walk in, some young, flat brimmed wearing friendly stranger told us to ‘watch out.’ It was already apparent that security was strict, with some even saying overly strict. The actual venue was one of the smallest for a festival I’ve ever been to- and this wasn’t a bad thing. For the amount of people at the festival, it was just right. 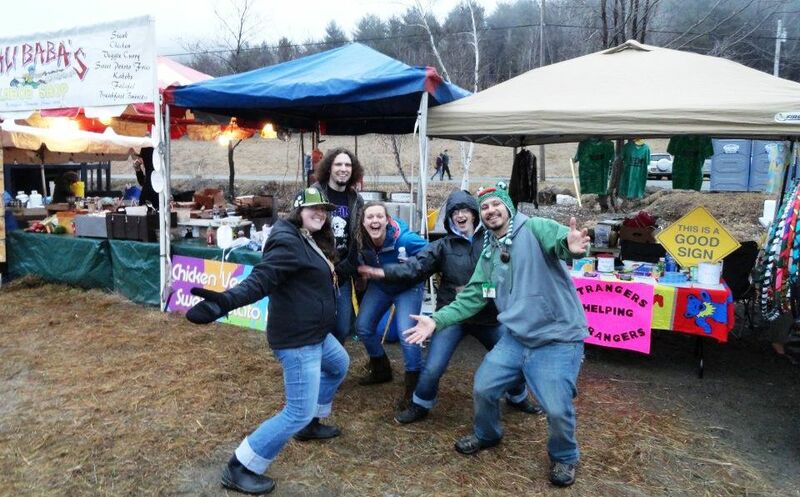 It was set up with a small Shakedown Street area with several food vendors, glass blowers and vendors. The lifts were open for skiers and riders to hit the park and take some runs. There were NOT a slew of peddlers walking up and down offering you a galaxy of substances. This non-grimy feel carried through the festival, even when it got its muddiest and dirtiest. The first day had a steady raininess to it that created a pretty good mud pile for a dancing surface. To me, this was fantastic. It was priming me up for the festival season at such an early date. I could see this on all the smiling faces around me. Mud and music was key. After strolling around the festival getting a feel for how it was all going to work, and finding friends, I settled in at the Indobox. It was a nice day time jam set that fit in nicely before the dub step and electronica that was sure to take us through most of the weekend. I danced my way through the mud right through Horizon Wireless, who I had never heard before. It was a fun DJ set leading right up to Orchard Lounge. For anyone who hasn’t been to an Orchard Lounge show, you should definitely hit it up. 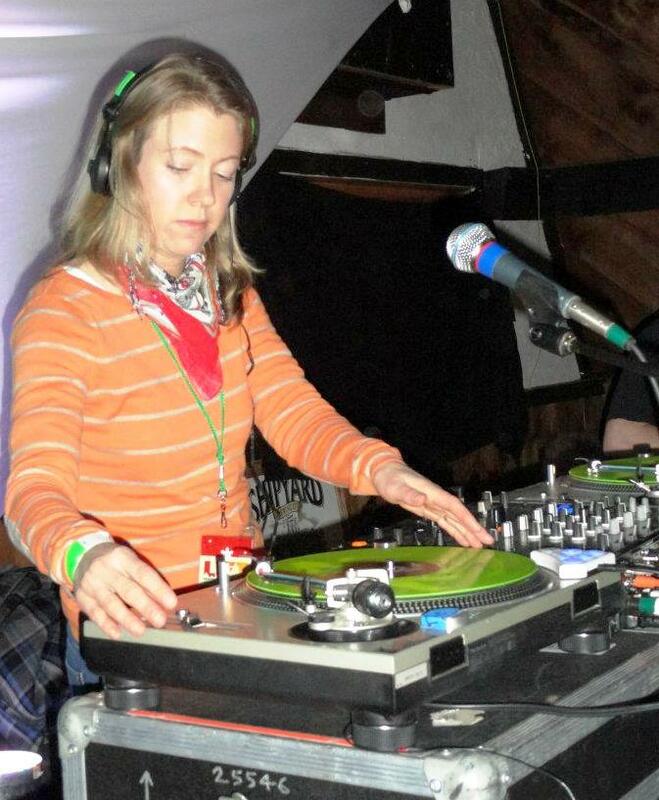 It was like a three DJ assembly line that had the entire festival loving life. At this point the venue had filled up compared to several hours earlier. The entire beer tent was packed with people, as well as those in the actual area. This presented a small problem to a lot of people. We were not allowed to bring beer into the venue and if we wanted to drink we had to cram into the tent. This isn’t a huge deal, but it can be a little bit of a pain to have to go pay $7 to pound a beer and get back to where the action is. I took a break and grabbed something to eat at Tacos Tacos Tacos, one of the vendors on site. The food was good and the vibe was outstanding so far. I looked around to see girls hula hooping and some dude spinning poi. Others were stationed up on the side of the ski hill, still with their gear on as they had been taking runs and listening to beats all day long. I heard Jeff Bujak start up and remembered my friend telling me to check him out. I had no idea what to expect and am certainly glad I listened to my buddy Dougie. I went and joined him on the hill where he was standing and gave him that “holy crap” look. 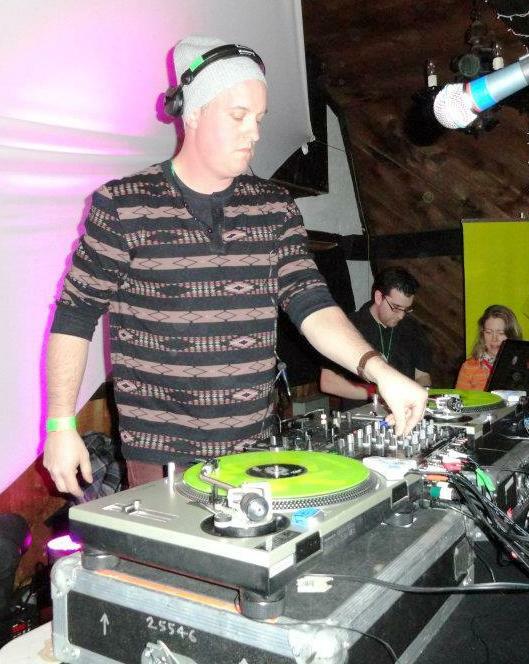 Jeff Bujak, based out of Northampton, Mass., is a keyboardist who composes some outstanding dance, electronic music. Watching him up there with the kaossilator and keys, along with a dirty light show, was one of my favorite parts of the night. This set up for a nasty set of Conspirator, which capped off the first day of the festival. Conspirator jammed out hard for over an hour, complete with a laser light show that had everyone in awe. The use of the lasers with a fog machine, against the backdrop of the New Hampshire ski mountain, was a perfect way to capture the feel of Conspirator’s music. Whoever wasn’t in awe of the lasers making waves in the sky was dancing their asses off to the steady electronic move being laid down on stage. At one point I remember my friend Tommy noticed that while he was dancing his shoes were completely stuck in the mud. It was a mess on Friday night, but a very fun mess at that. This is where the festival became truly unique. Instead of people going back to their respective tent cities and partying the night away, people went back to hotels and had an all out rager. It was no holds barred and while there were police everywhere, I never saw a real problem with people getting hassled. It was the type of time where there are seven people passed out on your floor by morning, and you only know a few of them. Day two started painfully, but after devouring a salami sandwich and forcing a few PBRs in my system, I was good to go for the St. Patrick’s Day festivities. It was a beautiful 65 degree day and wasn’t nearly as muddy as day one. There was also much more people because people took advantage of the cheap day tickets. It was cool to see musicians walking around the venue enjoying the festivities as much as anyone else. The McLovins opened the day with a short set and were later spotted in the venue during Lettuce. Members of the Indobox were cruising around the venue. Brownie from Conspirator spent plenty of time down in the stage area, listening to the music and casually meeting some fans. There was a truly happy vibe on Saturday. What I was looking forward to throughout the weekend was Lettuce and they played some serious funk for about an hour and a half with some of the best weather possible. I was absolutely loving life with my best friends around me along with some friendly new ones. So far that day was perfect and the funk was deep. I went to the beer tent to grab an overpriced beer and get some shade while Supersillyus was doing their DJ set. These guys were classic, with one dressed as a leprechaun and the other in a Viking hat cooking pancakes as they played. I couldn’t believe what I was seeing, so I pounded down my beer and went to the stage. They were tossing pancakes into the audience to hungry audience members. I even know of someone who ate one off the muddy ground. Gross, but hilarious. I went to the car with some friends and listened to Break Science and Electronicanonymous as we got away from the crowd for a bit and celebrated St. Patty’s Day. This proved to be a sketchy thing due to local authorities, so we headed back into the stage area just in time for Danger. 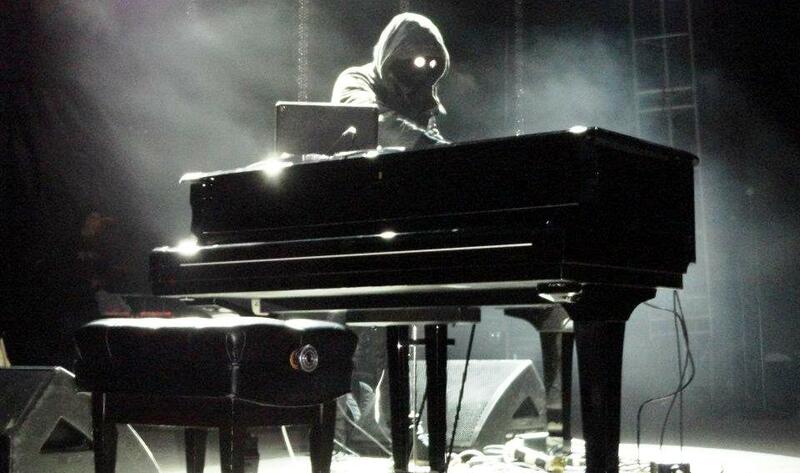 Danger was a phenomenal house DJ and had glowing lights that looked like his eyes under a hood. He also played on top of a piano, which was cool but I’m not really sure what the point was because he never actually dropped down and played it. Danger’s music was awesome and was a really fun, dancey set. It led nicely right into Michetti, who also played guitar the day before for Conspirator. I stepped into the VIP lodge to check out a little bit more of Orchard Lounge. The VIP area was heated and had another bar in it. There was also an area to play pool and even get a massage while several musicians played throughout the day. It was fun, but overall it was more fun being out with the rest of the festival. I got back outside for Paper Diamond and Alpha Data, where I found my friends deep into the St. Patty’s day festivities dancing hard. These were entertaining sets and fun to dance to, but it was Ghostland that stole the show. This was a crazy set with a laser light show as good as Conspirator’s during the previous day. 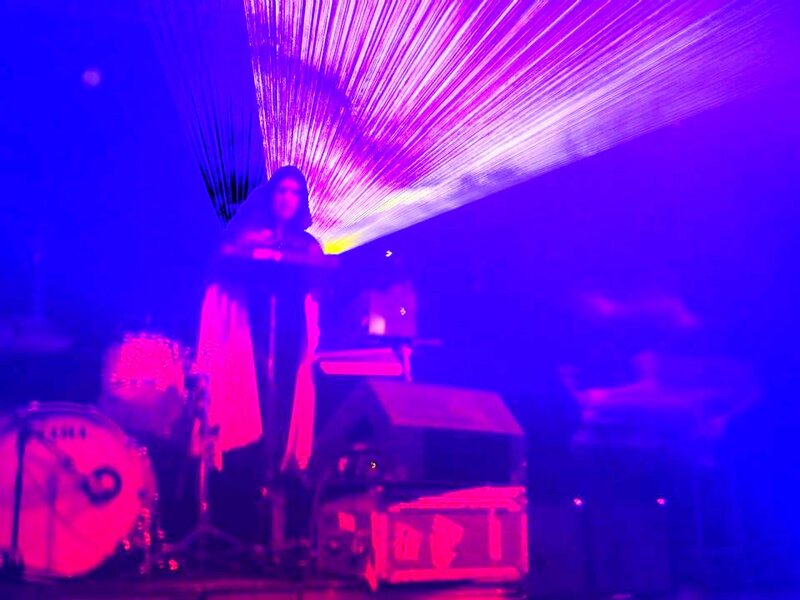 Ghostland Observatory, an electronic duo from Austin, Texas, is something you kind of have to see to believe. Thomas Ross Turner is a caped DJ in the middle of the stage with lasers blasting around him, along with a drum set which he plays as well. Front man Aaron Behrens runs around the stage like a maniac, sometimes playing guitar but always singing and screaming lyrics. He hit high notes like I’ve never heard, and had an animated feel that is comparable to David Byrne of the Talking Heads. Ghostland played for about an hour and a half straight, which was pretty insane considering the amount of running around Behrens does throughout the show. It constantly peaked out and the visuals were just as impressive as the music. It was a terrific set to end a great weekend. For a first year festival, this one has a lot of promise. The music was certainly top notch and the layout of the stage made the sound incredible as the mountain acted as somewhat of a natural amphitheatre. The only thing that was a constant issue with many people was the tightness of security and the inability to have drinks while watching the band in the main area. 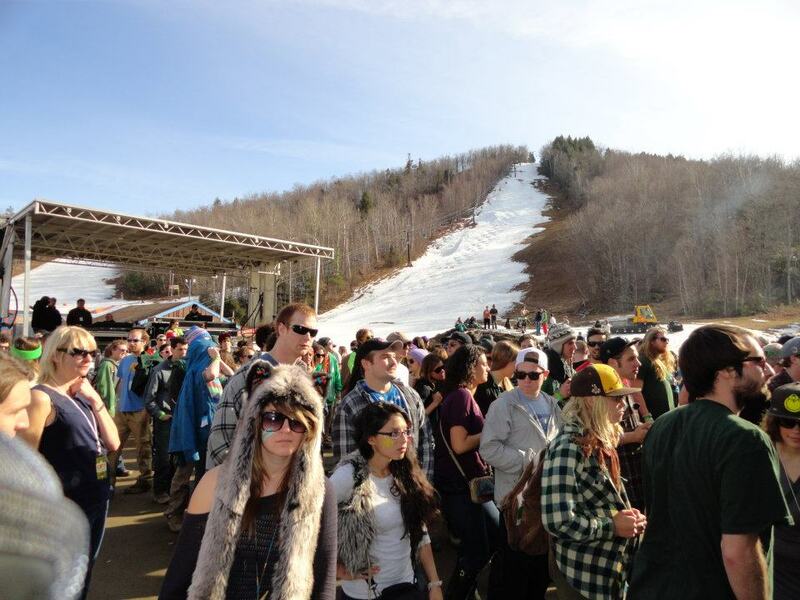 But if that’s the only major issue, I’d say it was a success and hope to go back for LIFT Fest 2. 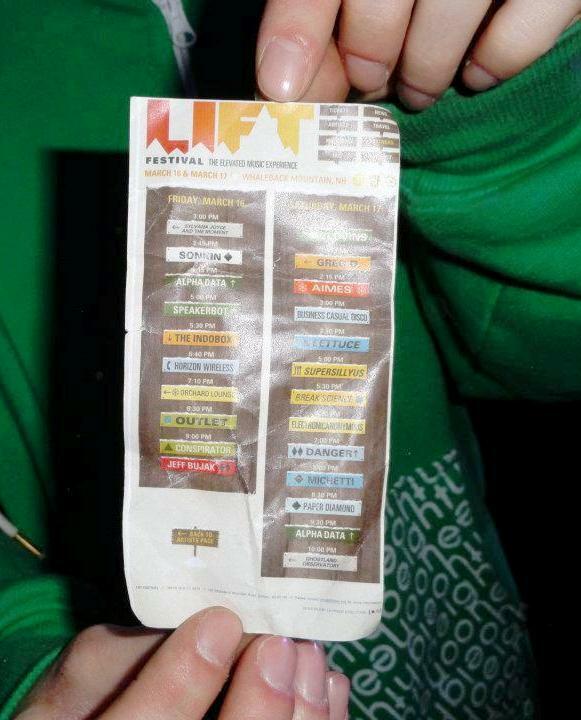 Check out more photos from the 2012 LIFT Festival.